Do you want to eat where the romans eat? Here are three of the best trattorias in the Tuscolano neighbourhood and surroundings, to enjoy the rich and tasty cuisine of the capital. Are you or are you not a traveller with a capital T? Don’t stop yourself and go find the best roman trattorias in the Tuscolano neighbourhood. Maybe you’ll find a bit of a language barrier with the staff, but that’s the small price to pay if you want to enjoy the authentic roman cuisine that romans adore. What are trattorias? There are quite a lot of differences between a trattoria and your typical restaurant, and they are characteristic to Italian culture. 1. First of all, don’t expect white tablecloths and an intimate and dim atmosphere: trattorias are completely informal in every aspect, from the mise en place to the service, that can sometimes seem a little rude and rushed, other times warm and welcoming, and exactly what one would expect from an Italian welcome. The indoor space is frugal, apt to contain a lot of people, the service is quite fast because trattorias were born for working class labourers, who had to fill their bellies and immediately get back to work. 2. 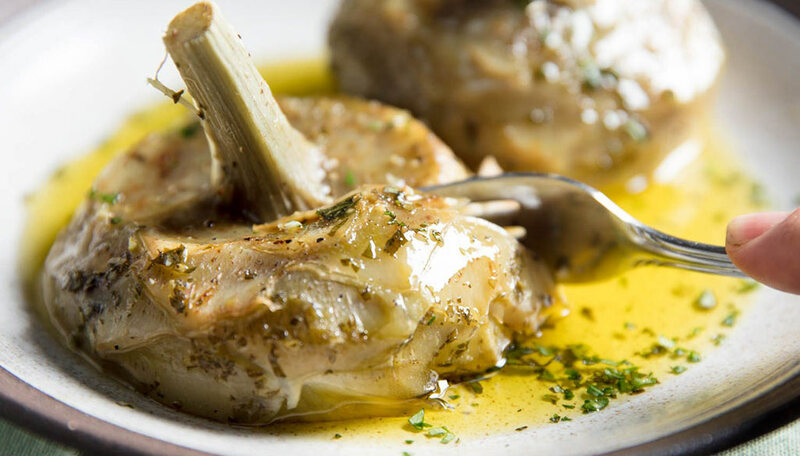 The dishes are regional, cooked exactly like a roman nonna would: the words “light”, “low fat”, “gluten free” and often “vegetarian” are strictly banned. Here the earth speaks for itself. The dishes are always in season and very tasty, homemade pasta and a good glass of wine. That’s why the menu changes if not every day, very often, and the romans never get tired of eating here. 3. The prices are for the locals, so they are quite low. Often you can choose from menus of lunches with two or three courses for a very good price. 4. The portions are definitely generous, so don’t opt for any of these trattorias if you’re not properly hungry. Here are three suggestions on where to eat in an authentic trattoria near the Tuscolano neighbourhood and surroundings. They are often difficult to find, hidden between large apartment buildings and where once you’ve been you’ll be able to say “I ate like the romans!”. If you’re hungry after a walk in the Appia Antica Park, it’s worth going to lunch in this hidden and rather spartan trattoria, with some of the best roman dishes. For 120 years the Ratini family has run this activity (you’ll find mister Alessandro Ratini in the kitchens, or maybe he’ll even stop by your table for a chat). In this rustic space, the menu is a fantastic example of roman tradition: gricia, tonarelli cacio and pepe, boar meat pappardelle, veal, lemon chicken, tripe and straccetti, and those are just to cite a few. The pajata with rigatoni and sugo, one of the most renowned roman recipes, made with the intestine of a calf, is definitely a must in the Osteria del Velodromo Vecchio. It takes its name from the Appia stadium that closed down in the 1960s. While you eat in one of the indoor rooms (or if you prefer there are a few tables out on the veranda) you’ll be able to admire wall of posters and photographs of famous cyclists like Coppi and Bartali, two icons of cycling. But let us go back to the cuisine: they use incredibly high quality ingredients, especially the oil bought directly from the producer. Worthy of mention are the skate broth, tripe, the sour cherry pie and the ricotta, traditional of judaic-roman gastronomy. You must be really hungry to go to Betto e Mary, because the servings here are huge at reasonable prices. The speciality of the innkeeper Tommy Spoletini is the offal, the leftover parts of the butchery kept for the people, to eat exactly like the romans! Here you’ll find oxtail ragout, tripe, heart and lungs. No pork however, in line with the Jewish influence on the roman cuisine. Do try the nerves with caper, oil and rucola sugo, a recipe the cooks are quite secretive about.